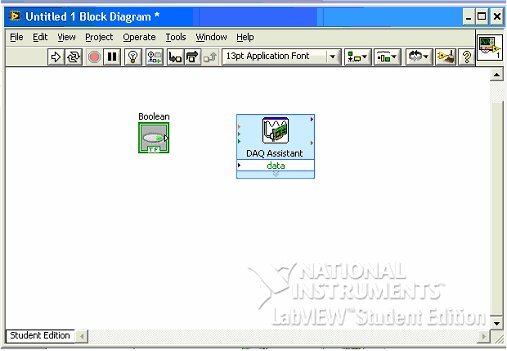 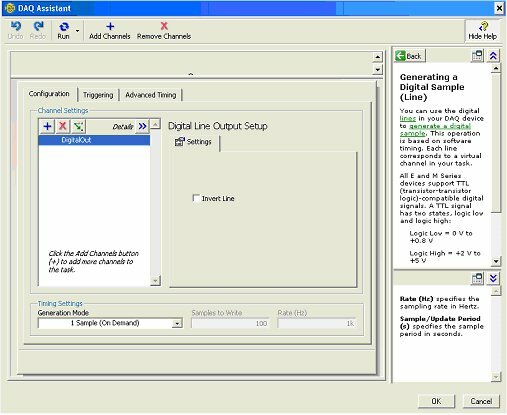 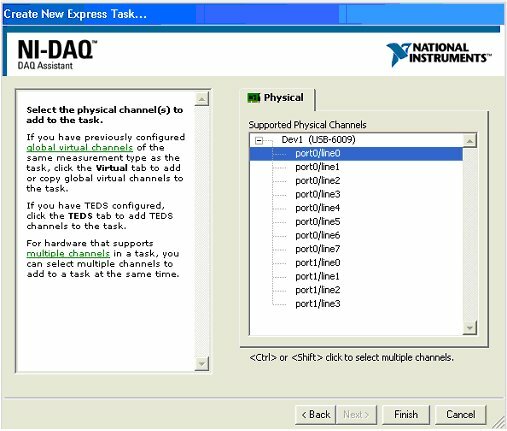 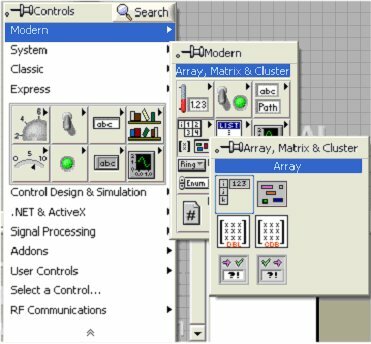 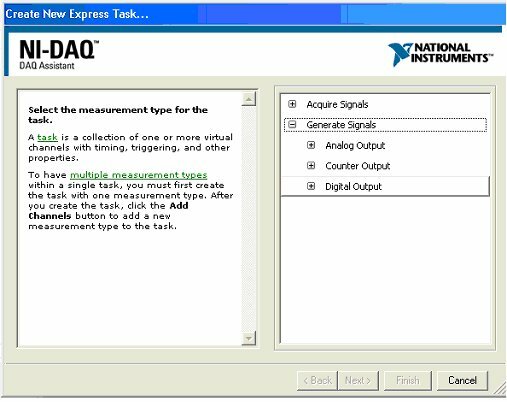 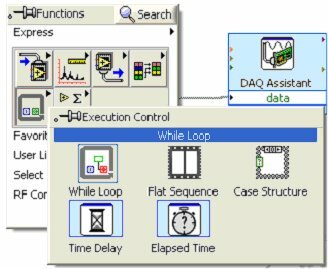 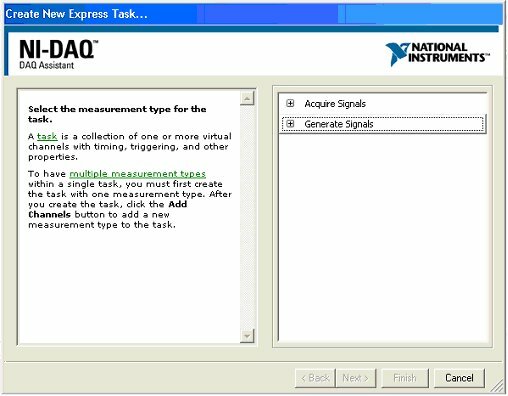 Labview from National Instruments (NI) is build upon a purely graphical, general-purpose programming language, G, with extensive libraries of functions, an integral compiler and debugging, and an application builder for stand-alone applications. 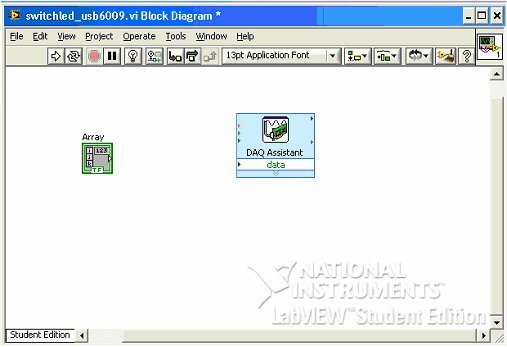 The concept of VIs (Virtual Instruments), invented by National Instruments, permits the building of powerful instrumentation and control to run anywhere and everywhere. 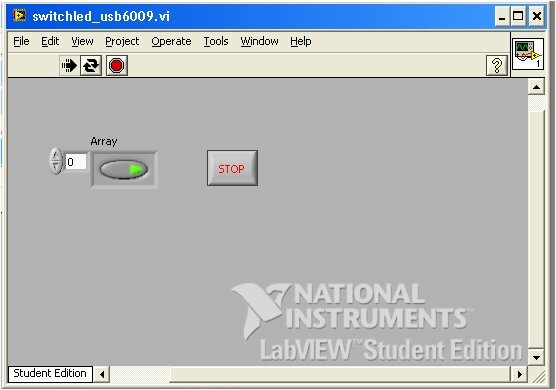 Making use of Labview and DAQ (Data Acquisition) device, build a VI (Virtual Intrument) with a switch that lights up a LED. 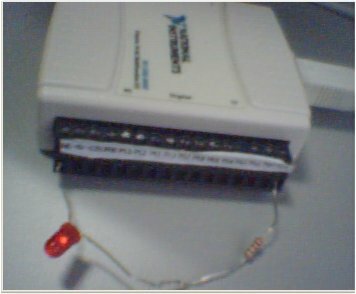 The project is next extended to control the VI from Internet. 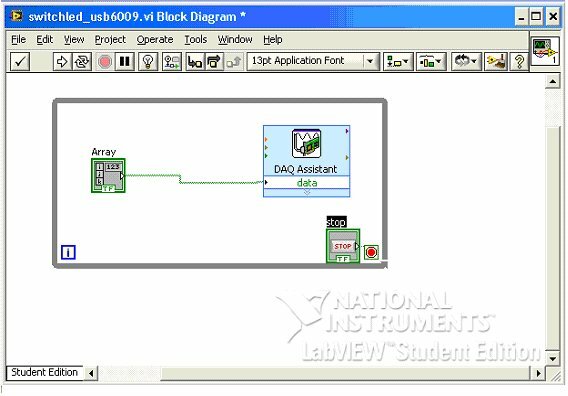 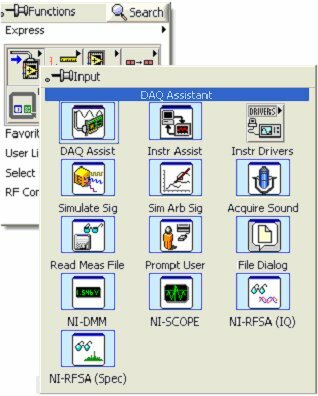 Installed Labview and DAQmx softwares, and a DAQ device duly working and recognised by Labview. 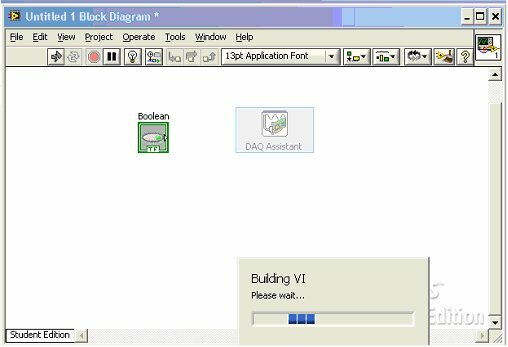 STEP 3 – Under Files menu, start a new VI pressing on Blank VI link. It will open the Front Panel of a new untitled blank VI. 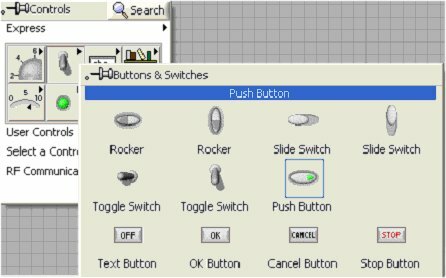 STEP 9 – Another sub-menu will be opened. 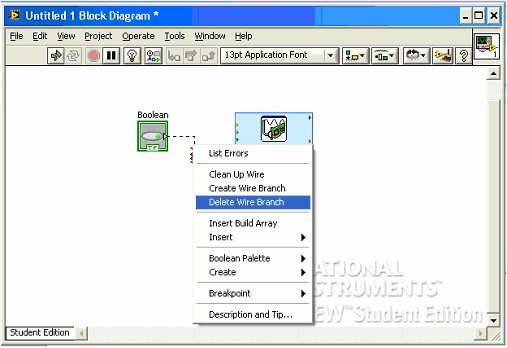 Choose Line Output. 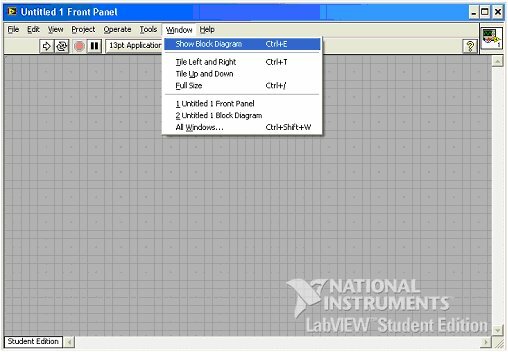 Leave all default values as they are, and press OK. 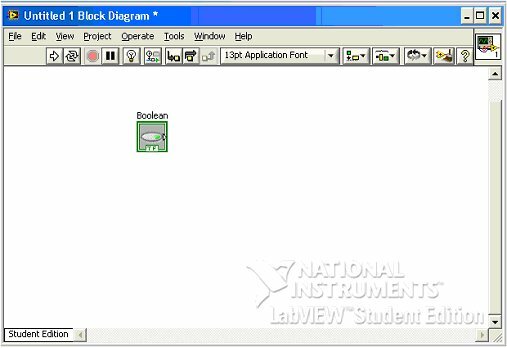 STEP 12 – Block Diagram will be opened, and VI will be build. 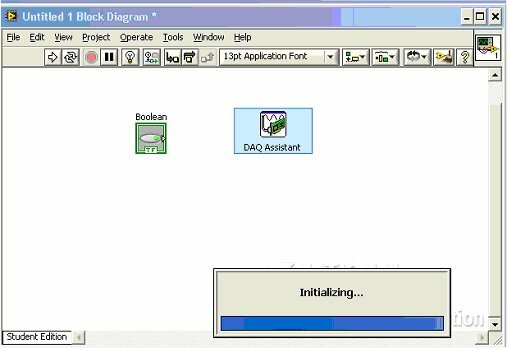 STEP 13 – Block Diagram will have now configured DAQ device. 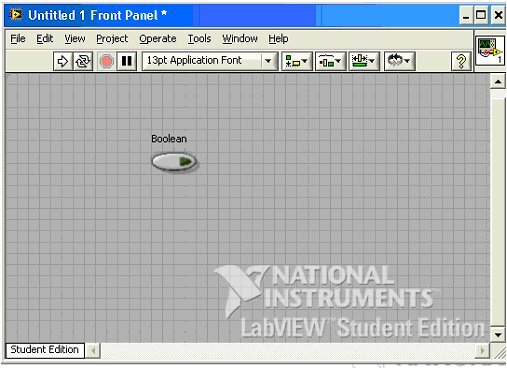 Hence we need to place the Boolean function in an Array. 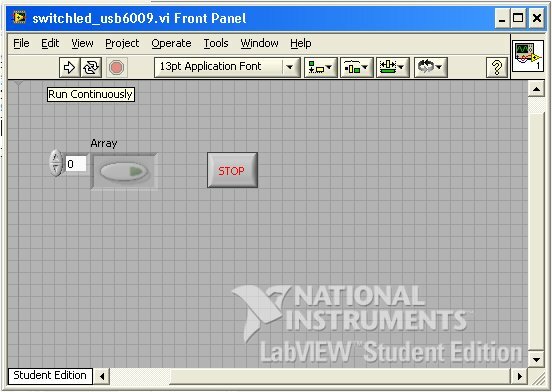 Connect the new Array function (containing the Boolean Push Button) to data input of DAQ Assistant function. 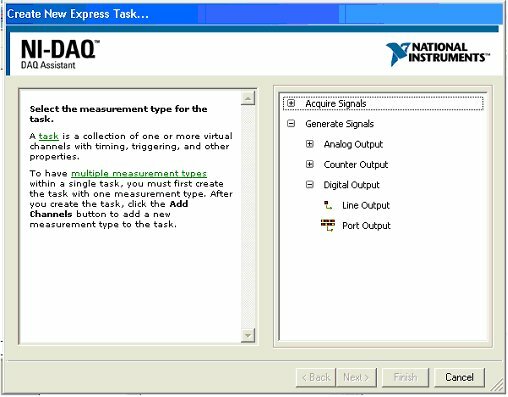 This time the link will show no error. 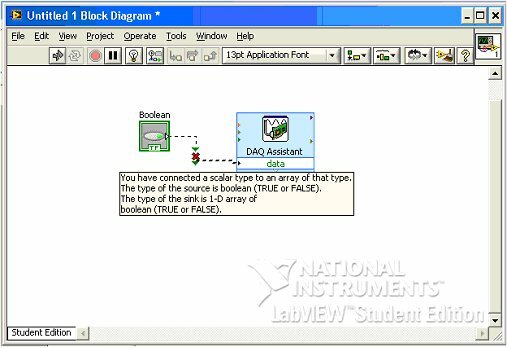 Place the While Loop around Array and DAQ Assistant functions, starting from just on top left of Array function, and ending below DAQ Assistant function allowing automatic placing of stop button that comes with While Loop. 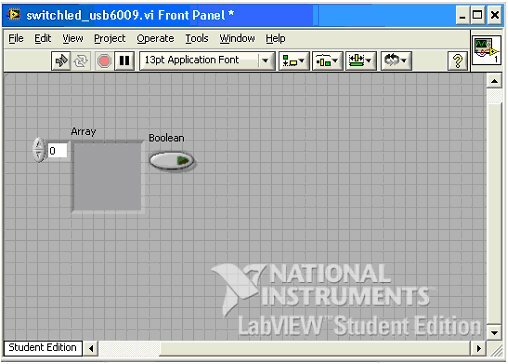 With just a couple of electronic components and NI tools, we have build step by step a Virtual Instruments (VI). 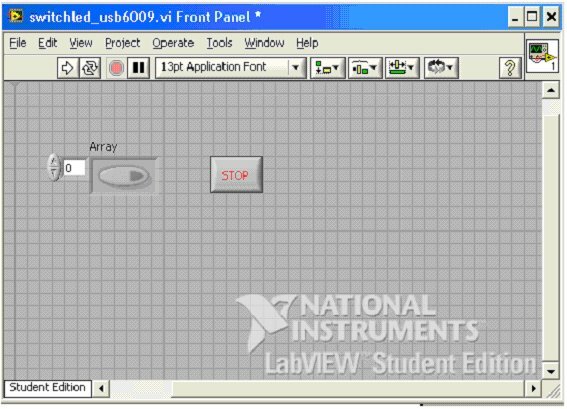 It is is is quite easy with the graphic programming language of Labview. 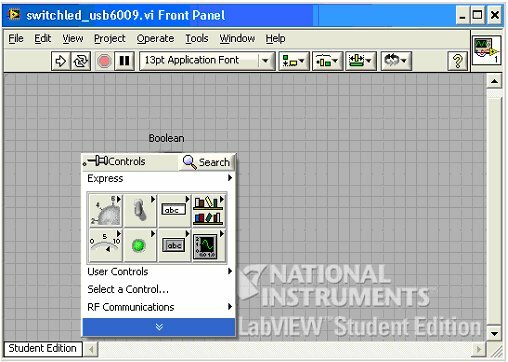 We will next control the VI from Internet using the tools that Labview offers.